Cottonmouths, also called Water Moccasins, are perhaps the most unjustly maligned animals in North America. These snakes do everything in their power to avoid issues with people, but somehow they have an infamous reputation among serpents. It is ingrained in the American psyche that cottonmouths are deadly, mean, and aggressive. They supposedly chase people, lie in wait to drop in boats, collect in huge “nests,” and many other myths. People believe these statements so firmly that merely remarking that cottonmouths are not aggressive can be enough to enrage some people. So feared are these little animals that people regularly claim to have narrowly escaped with their lives from cottonmouths in states where they do not even occur. This post is a lesson right out of our book! Click here to check it out! 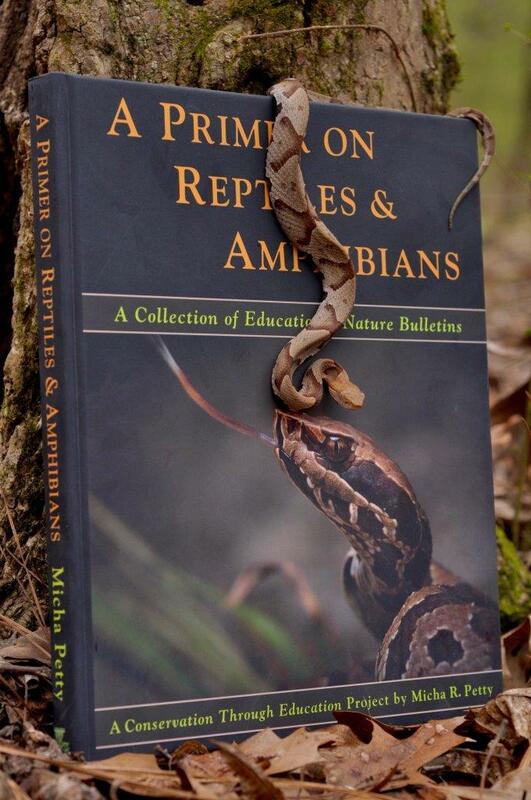 "I just ordered Micha Petty‘s epic Primer on reptiles and amphibians and I suggest anyone that’s into herps and education do the same! I haven’t wanted a book this bad in a while!" Can we agree that any animal would have ample excuse to bite anyone acting in such a fashion? Nonetheless, of the snakes they stood right beside, none (0%) bit them. Of the 22 that they stepped on, 15 made a defensive display, but only one (<5%) bit their boot. Of the 36 they picked up, only thirteen (36%) bit the “hand” where it was grasping them. Most any unbiased person would admit that these results show a great deal of forbearance on the snakes’ part. These results are precisely what people familiar with snakes would expect to see. Cottonmouths flee if they can, but they are not particularly agile creatures and sometimes remain where they are in hopes that the threat will pass. If a person gets close, they display their telltale white mouths by gaping and often vibrate their tails. Wise naturalists interpret this as a clear and polite warning. Even if stepped on, the snakes (who are not stupid) will try to avoid biting, if possible—and why shouldn’t they? A bite would not immediately incapacitate the person and would likely escalate the encounter. Even if we are so dense as to ignore their warnings and go so far as to pick them up, they are still unlikely to bite, even when they have reason to assume we intend them harm. It is hard to know how to help these snakes overcome the ridiculous reputation we have imposed upon them, but hopefully, education can help at least some people shed their causeless hatred for them. You only need to know one cardinal rule—if you see a snake that you are not positive is harmless: simply take three steps back and walk away. You do not need to kill wildlife to be safe! 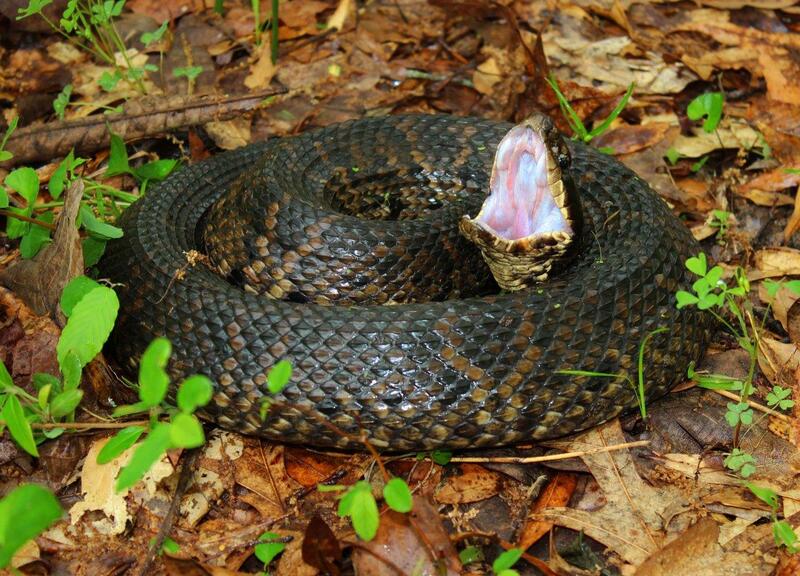 The vast majority of “cottonmouth” sightings are cases of mistaken identification. 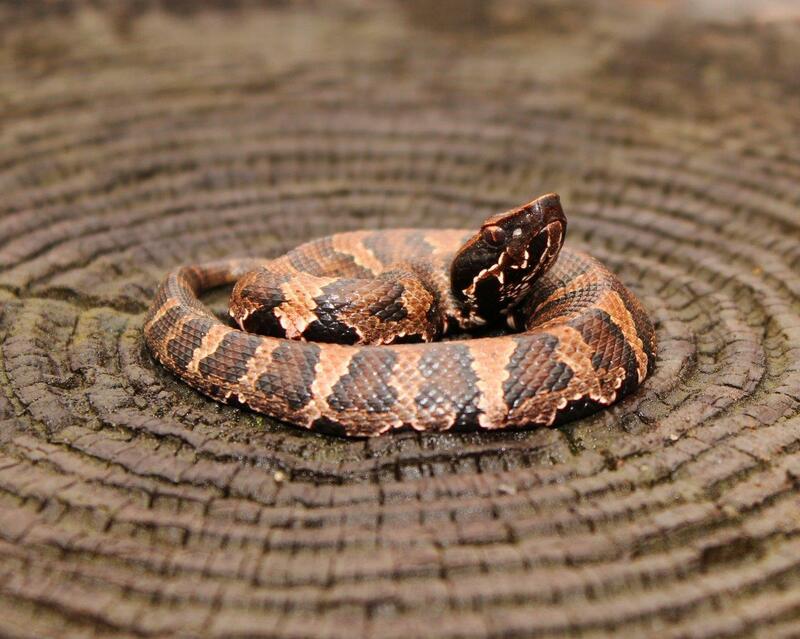 Many people in the eastern U.S. tend to assume that most snakes are cottonmouths, but this just isn’t so.